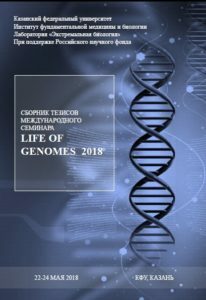 According to the results of the international conference “Life of genomes” in 2018 an electronic collection of abstracts of all participants will be publish and posting on the official website http://lifeofgenomes2018.extremebiolab.com. The theses of the report should correspond to the subject, be unpublished, have scientific novelty and contain materials of the author’s own scientific research (co-authors). Theses of reports are provided in electronic form. For the publication correctly accepted theses are accepted strictly in the amount of no more than 500 words, prepared with the help of office text editors (in the format ______. Doc; ______. Docx). Page parameters: margins – 20 mm from all sides, line spacing – single, font -Times New Roman, font size -12 pt, indention – 1. Alignment of the main text and the list of literature – in width. Transfers in the text are not allowed. The orientation of the page is book. 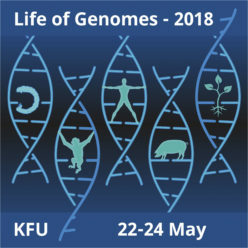 Abstracts are accepted until May 1, 2018.